Yet another growhouse has been raided in Hillsborough County Florida, This time in Brandon. See the map below for the location. The haul was 350 pounds. Here is a list of charges according to local news and the Hillsborough County Sheriff's Office reports: Trafficking in marijuana, Cultivation of marijuana,Grand theft-electricity, Own/lease/rent for purposes of trafficking, Possession of drug paraphernalia. According to one source, "So far in 2016, Hillsborough County Sheriff's deputies have shut down 20 marijuana grow operations in the county." Under Florida's tough trafficking law Florida Statute 893.135, Trafficking offenses have mandatory sentences. in this case the grower faces "a mandatory minimum term of imprisonment of 3 years, and the defendant shall be ordered to pay a fine of $25,000." Below is a map of the calm peaceful location for the latest alleged grow operation. 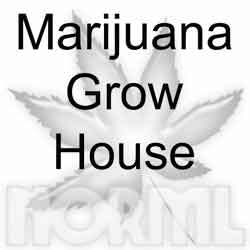 You can take a look at a few other growhouse locations here.